Kids are already watching them on YouTube. Bringing them into the classroom is a great way to dial up engagement. I would imagine most people have watched a how-to video on something—a cooking technique, home repair, or craft project. I know my music students watch similar videos; many days students have come to class proud to play the new songs they learned from YouTube: “The Pink Panther,” “Star Wars Main Theme,” and even the saxophone solo from “Careless Whisper.” This ’80s girl was proud! It got me thinking: Since students love to watch how-to videos, what if they could create them, too? The project had success written all over it. The students could demonstrate a skill necessary for class, requiring them to know it well enough to teach others. They would need to explain each step of the process in detail. And as a bonus, I knew the students would have fun creating videos! Video is a standard part of life for students; they regularly use it to both consume and produce content. Creating how-to videos would be natural for them. When introducing this project to the students, we started by watching a how-to video together and following along with the instructions. For my orchestra class, we watched a video about applying rosin to the bow. Next, we discussed, as a group, what they noticed in the video and what aspects of it were most helpful. 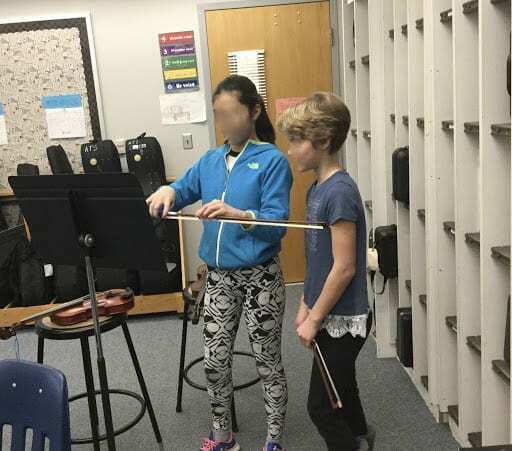 Finally, students were ready to hear their task: Create a video teaching a beginning-level student how to hold a violin bow correctly. Their eyes immediately lit up, and I could practically see the wheels turning! For this first video I had students work with partners, but I don’t think that has to be the case in every situation. 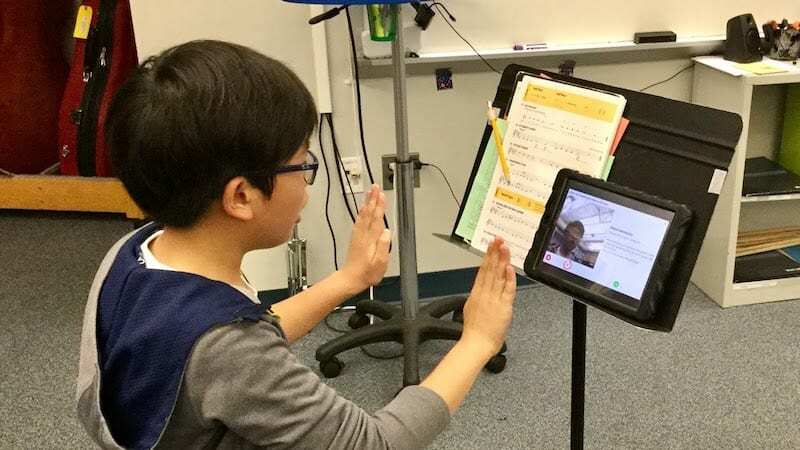 My students have 1:1 iPads, which made recording easy. Students were encouraged to plan their videos first, making a list of the necessary steps to include and rehearsing it before recording. For young students, it might be appropriate to provide a planning template. I chose to have students record and submit videos through Flipgrid. Here’s an example of what this might look like, Topic: How-To Videos. 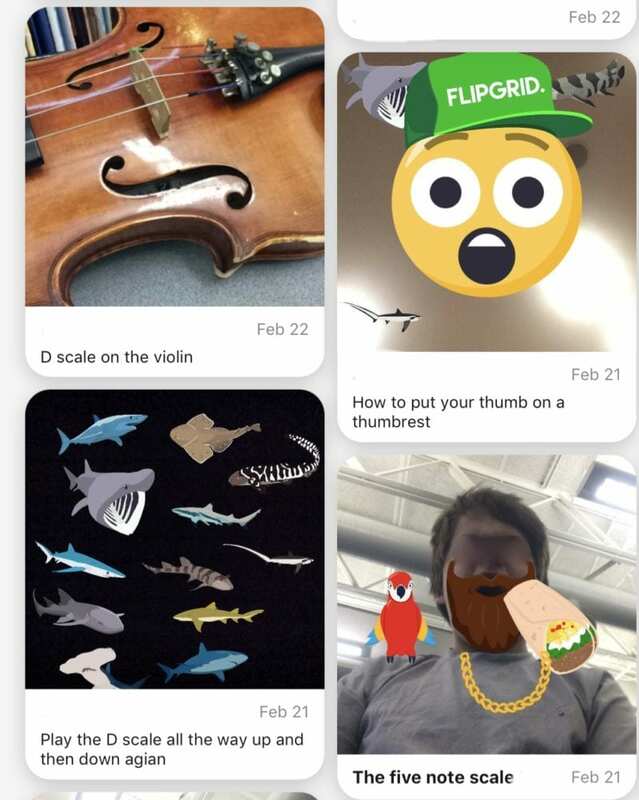 For schools that don’t use Flipgrid, students could submit videos through Google Classroom, Seesaw, or any LMS. I would strongly encourage anyone doing this project to make sure that, at some point, students can view each other’s videos. Students will put forth extra effort when they know their classmates are watching! Having students create how-to videos serves many purposes. As mentioned previously, it ensures they know how to complete the skill and can explain the process behind it. It helps me, as the teacher, confirm there are no holes in my instruction. Sometimes I laugh when my mannerisms come through in student videos—I guess this proves they listen! Finally, you are teaching students to create good digital content and how to begin having a positive digital footprint. Even if your students are young and the videos are never shared outside of your classroom, learning how to be positive creators is an integral part of education. There may even be times you leave the assignment open ended, allowing students to choose what they will teach in the videos. Have fun with this project and encourage your students to do the same! 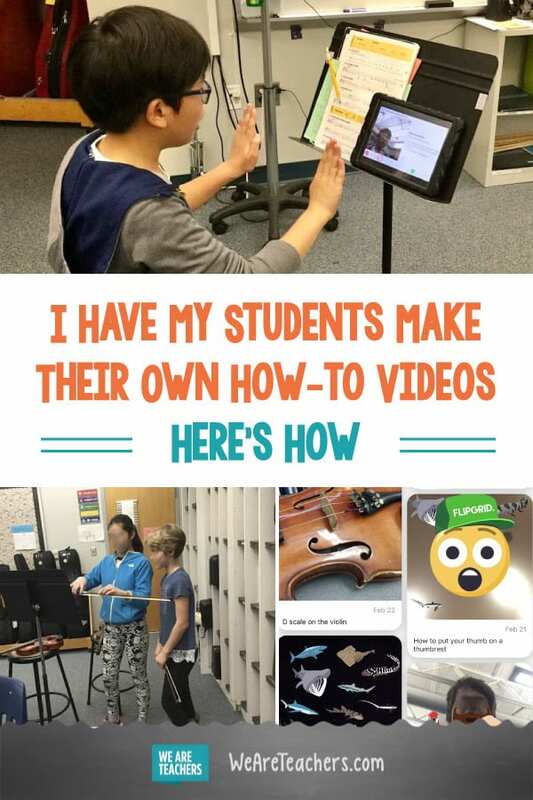 Have you tried making how-to videos with your students? Come and share your experiences in our WeAreTeachers HELPLINE group on Facebook. Plus, how I use passion projects to deepen my students’ relationship with reading.